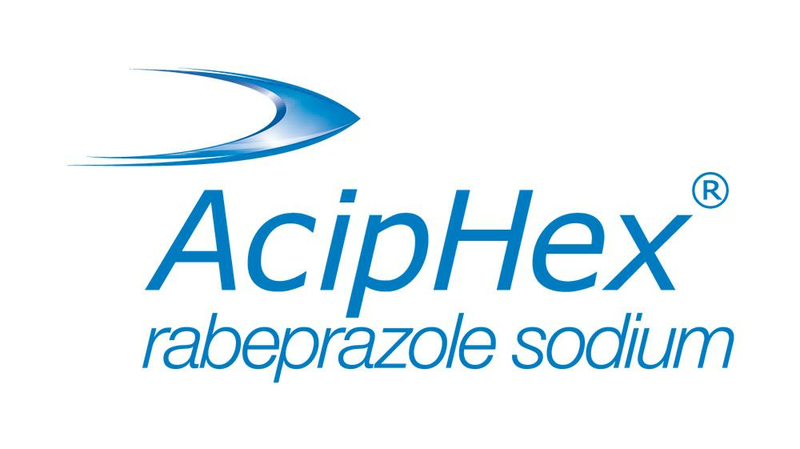 Aciphex (rabeprazole) is a proton pump inhibitor used to treat GERD (gastroesophageal reflux disease) and duodenal ulcers. GERD (gastroesophageal reflux disease) occurs when stomach acid leaks out of the stomach and into the esophagus, resulting in heartburn and damage to the inner lining of the esophagus (erosive esophagitis). Aciphex (rabeprazole) is a proton pump inhibitor often used to prevent GERD symptoms. The active compound in Aciphex is rabeprazole sodium, which limits the stomach lining’s ability to produce gastric acid (hydrochloric acid). Reducing stomach acid alleviates GERD symptoms and gives the esophagus time to heal. When taken with antibiotics, Aciphex is used to treat duodenal ulcers. Aciphex is generally taken for four to eight weeks to relieve GERD symptoms and heal damage caused by erosive esophagitis. If this time frame is insufficient a further four to eight weeks is warranted. Aciphex is also taken over long periods of time to treat chronic GERD and other conditions caused by excessive stomach acid. The medication is usually taken once a day, and can be taken with or without food. Aciphex pills should not be crushed, chewed or split as the pill is designed to release rabeprazole sodium slowly. If you miss a dose of Aciphex, take the dose as soon as you remember. An exception to this rule occurs if you are close to your next dose, in which case skip the missed dose. Patients with liver disease should inform doctors of their condition before taking Aciphex. Aciphex may interact with other medications, so be sure to provide your doctor with a complete list of current medications. Be sure to inform your doctor if you take blood thinners such as Coumadin (warfarin), Nizoral (ketoconazole) or medication containing cyclosporine such as Sandimmune or Neoral. Aciphex is not considered harmful to an unborn child, but expectant mothers should inform their doctors they take Aciphex. It is not known if rabeprazole sodium can be transferred by breast milk, and doctors may recommend stopping Aciphex treatment while breastfeeding. As a rule, Aciphex is a well tolerated medication. Like any drug, however, the possibility of unwanted side effects exists. Side effects of Aciphex can include insomnia, headaches, diarrhea, upset stomachs, nervousness, rashes and itching. Seek immediate medical attention if Aciphex use triggers hives, facial swelling (including the lips, tongue and / or throat) or difficulty breathing. While Aciphex is considered safe for long term use, a study published in 2008 suggests a link between long-term use of Aciphex and bone fractures. Drugs.com (updated 24 July, 2008).